The World Champion introduces M&F to the unique strength sport. 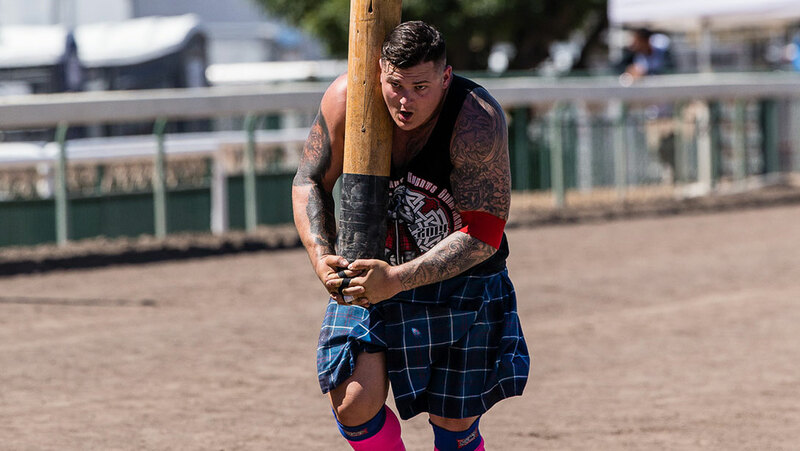 In the April issue of M&F (on sale now), we featured 2014 Highland Games World Champion, Matt Vincent, as our Extreme Fitness athlete and we’ve got more from the 6’0,” 265-pound former collegiate thrower. Vincent is a professional athlete in the Highland Games, a Scottish cultural event that dates back to the 11th century. Offering grandiose festivities like bagpipes and dancing competitions in addition to food and drink vendors, a Highland Games competition is the place to be for anyone looking to have a good time outdoors. In the Highland Games, athletes compete in eight or nine throwing events -- aiming for distance, height, or accuracy. To prepare for events such as the caber toss, which entails throwing a 120-pound telephone pole end over end so that it lands in a 12 o’clock position, and the weight over the bar-throwing a 56-pound weight for height-one needs to do more than move a barbell. Vincent travels the world for 20 weeks a year to participate in the Games, doing event training followed by weightlifting three to fours days per week during the season. He carries the sport’s apparatuses in his truck so that when he’s home, he’ll throw in a field or park. This year, Vincent is one of 12 top-ranked competitors in the 2015 Highland Games World Championships, which will take place in Bressuire, France on June 13th and 14th. In his quest to repeat as champion, he’ll deal with a lesser-known Highland Games problem that seems quite bothersome. Since entering the Games in 2008, Vincent has seen his fair share of in-contest accidents. If you think you’re ready to don the mandatory kilt and long socks, Vincent has one recommendation. Train Insane? Share your crazy workouts with @muscle_fitness using #extremefitness.